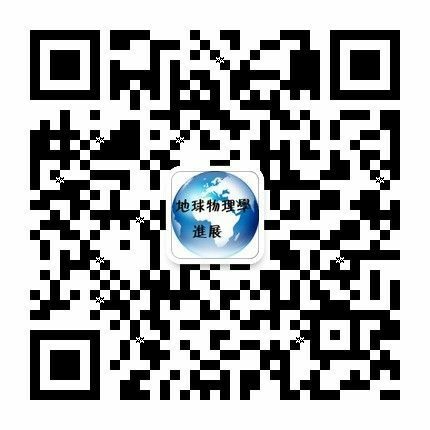 摘要 利用中国地震科学台阵第一期（2011-01—2014-06）及部分中国地震科学台阵第二期（2013-02—2015-12）的流动地震台阵记录到的小震波形资料，运用剪切波分裂系统分析（SAM）方法，分析南北地震带的地壳各向异性，对剪切波分裂参数所反映的区域应力环境及构造特征，以及区域内主压应力方向与断裂分布的关系展开讨论. 研究结果表明，南北地震带快剪切波偏振方向自北向南由NE向逐渐转变为NNW向，与南北地震带区域主压应力的方向变化具有一致性. 区域内分布的大量NE及WNW或NW向断裂构造同样对快波偏振方向有比较大的影响，位于走滑断裂附近的台站，其快波方向与断裂走向大致平行，部分位于走滑断裂附近的台站其快波方向几乎垂直于断裂走向，而与构造应力场方向一致性较好. 个别台站表现出复杂快波优势方向特征，反映出研究区内构造环境的复杂性. 慢波时间延迟结果显示，南北地震带南段的平均时间延迟高于北段，反映了受印度板块和欧亚板块的碰撞挤压作用，南段地壳介质各向异性程度更大，构造变形更加剧烈. 对比南北地震带上地幔各向异性特征，推测在川滇菱形块体内部可能存在复杂的壳幔耦合现象，地壳剪切波分裂除了反映区域应力特征，还可以揭示出区域构造信息. Abstract：In this paper, the data from temporary seismic stations in the North-South seismic zone set up under the project ChinaArray PhaseⅠ(2011-01—2014-06) and the project ChinaArray PhaseⅡ(2013-02—2015-12) are analyzed with the Systematic Analysis Method of shear-wave splitting ( SAM method ) to study the crustal anisotropy of the North-South seismic zone. The environment of regional stress and the tectonic characteristics revealed by shear-wave splitting parameters are discussed as well as the relationships between regional principal compressive stress directions and fracture distributions. The results show that the fast shear-wave polarization directions are consistent with the regional principal compressive stress directions, which gradually varied from NE to NNW from north to south. The NE and WNW or NW faults also have a great influence on the directions of principal compressive stress. The polarization directions of fast shear-waves at stations near the strike-slip faults are parallel to the fault strikes, and a part of these shear-wave polarization directions are nearly perpendicular to the fault strikes, which are similar with the regional principal compressive stress directions. Several stations exhibit complex features, reflecting the complexity of tectonic environment in the study area. The delay times of slow shear-waves in the south part are higher than the north part, reflecting that the southern section has a greater degree of anisotropy in crust and the tectonic deformation is more intense. Compared with the upper mantle anisotropy of the North-South seismic zone, it is inferred that there may exist a complicated crust-mantle coupling phenomenon inside of the Sichuan-Yunnan rhombic block. The shear-wave splitting in the crust can not only reflect the regional stress characteristics, but also can reveal the regional tectonic information. Anderson D L. 1961. Elastic wave propagation in layered anisotropic media. J. Geophys. Res., 66(9): 2953-2963. Chang L J, Wang C Y, Ding Z F. 2006. A study on SKS splitting beneath the Yunnan region. Chinese J. Geophys. (in Chinese), 49(1): 197-204. Chen Y, Zhang Z J, Sun C Q, et al. 2013. Crustal anisotropy from Moho converted Ps wave splitting analysis and geodynamic implications beneath the eastern margin of Tibet and surrounding regions. Gondwana Research, 24(3-4): 946-957. Chen Z, Burchfiel B C, Liu Y, et al. 2000. Global Positioning System measurements from eastern Tibet and their implications for India/Eurasia intercontinental deformation. J. Geophys. Res., 105(B7): 16215-16227. Crampin S. 1978. Seismic-wave propagation through a cracked solid: polarization as a possible dilatancy diagnostic. Geophys. J. Int., 53(3): 467-496. Crampin S. 1981. A review of wave motion in anisotropic and cracked elastic-media. Wave Motion, 3(4): 343-391. Crampin S. 1994. The fracture criticality of crustal rocks. Geophys. J. Int.,118:428-438. Crampin S, Chesnokov E M, Hipkin R G. 1984. Seismic anisotropy-the state of the art: II. Geophys. J. Int., 76(1): 1-16. Crampin S, Peacock S. 2005. A review of shear-wave splitting in the compliant crack-critical anisotropic Earth. Wave Motion, 41(1): 59-77. Crampin S, Gao Y. 2006. A review of techniques for measuring shear-wave splitting above small earthquakes. Phys. Earth Planet Inter., 159(1-2): 1-14. Crampin S, Gao Y. 2013. The new geophysics. Terra Nova, 25(3): 173-180. Cui X F, Xie F R, Zhang H Y. 2006. Recent tectonic stress field zoning in Sichuan-Yunnan region and its dynamic interest. Acta Seismologica Sinica (in Chinese), 28(5): 451-461. Debayle E, Kennett B L N. 2000. Anisotropy in the Australasian upper mantle from Love and Rayleigh waveform inversion. Earth Planet. Sci. Lett., 184(1): 339-351. Deng Q D, Zhang P Z, Ran Z K, et al. 2003. Basic characteristics of active tectonics of China. Science in China Series D: Earth Sciences, 46(4): 356-372. Du X X, Shao H C. 1999. Modern tectonic stress field in the Chinese mainland inversed from focal mechanism solutions. Acta Seismologica Sinica (in Chinese), 21(4): 354-360. Fu Y V, Chen Y J, Li A B, et al. 2008. Indian mantle corner flow at southern Tibet revealed by shear wave splitting measurements. Geophys. Res. Lett., 35(2): L02308. Fu Y V, Li A B, Chen Y J. 2010. Crustal and upper mantle structure of southeast Tibet from Rayleigh wave tomography. J. Geophys. Res., 115: B12323. Fu Y V, Gao Y, Li A B, et al. 2016. The anisotropic structure in the crust in the northern part of North China from ambient seismic noise tomography. Geophys. J. Int., 204(3): 1649-1661. Gao Y, Wang P D, Zheng S H, et al. 1998. Temporal changes in shear-wave splitting at an isolated swarm of small earthquakes in 1992 near Dongfang, Hainan Island, southern China. Geophys. J. Int., 135(1): 102-112. Gao Y, Crampin S. 2006. A stress-forecast earthquake (with hindsight), where migration of source earthquakes causes anomalies in shear-wave polarizations. Tectonophysics, 426(3-4): 253-262. Gao Y, Crampin S. 2008. Shear-wave splitting and Earthquake forecasting. Terra Nova, 20(6): 440-448. Gao Y, Shi Y T, Liang W, et al. 2008. Systematic analysis method of shear-wave splitting SAM(2007): software system. Earthquake Research in China (in Chinese), 24(4): 345-353. Gao Y, Wu J, Fukao Y, et al. 2011. Shear wave splitting in the crust in North China: stress, faults and tectonic implications. Geophys. J. Int., 187(2): 642-654. Gao Y, Shi Y T, Wu J, et al. 2012. Shear-wave splitting in the crust: regional compressive stress from polarizations of fast shear-waves. Earthquake Science, 25(1): 35-45. Gao Y, Wang Q, Zhao B, et al. 2014. A rupture blank zone in middle south part of Longmenshan Faults: Effect after Lushan Ms7.0 earthquake of 20 April 2013 in Sichuan, China. Science China: Earth Sciences, 57(9): 2036-2044. Hess H H. 1964. Seismic anisotropy of the uppermost mantle under oceans. Nature, 203(4945): 629-631. Huang Z X, Li H Y, Xu Y. 2013. Lithospheric S-wave velocity structure of the North-South Seismic Belt of China from surface wave tomography. Chinese J. Geophys. (in Chinese), 56(4): 1121-1131, doi: 10.6038/cjg20130408. Kan R J, Zhang S C, Yan F T. 1977. Present tectonic stress field and its relation to the characteristics of recent tectonic activity in southwestern China. Acta Geophysica Sinica (in Chinese), 20(2): 96-109. Kan R J, Wang S J, Huang K, et al. 1983. Modern tectonic stress field and relative motion of intraplate block in southwestern China. Seismology and Geology (in Chinese), 5(2): 79-90. Kirkwood S C, Crampin S. 1981. Surface-wave Propagation in an ocean basin with an anisotropic upper-mantle: numerical modeling. Geophys. J. Int., 64(2): 487-497. Lev E, Long M D, van der Hilst R D. 2006. Seismic anisotropy in Eastern Tibet from shear wave splitting reveals changes in lithospheric deformation. Earth & Planetary Science Letters, 251(3-4): 293-304. Li Y H, Wu Q J, Zhang F X, et al. 2011. Seismic anisotropy of the Northeastern Tibetan Plateau from shear wave splitting analysis. Earth & Planetary Science Letters, 304(1-2): 147-157. Liu Q M, Zhao J M, Lu F, et al. 2014. Crustal structure of northeastern margin of the Tibetan Plateau by receiver function inversion. Science China: Earth Sciences, 57(4): 741-750. Lu L Y, He Z Q, Ding Z F, et al. 2014. Azimuth anisotropy and velocity heterogeneity of Yunnan area based on seismic ambient noise. Chinese J. Geophys. (in Chinese), 57(3): 822-836, doi: 10.6038/cjg20140312. Ma X Y. 1989. Lithospheric Dynamics Atlas of China. Beijing: China Cartographic Publishing House, 32-33. Martynov V G, Vernon F L, Kilb D L, et al. 2004. Directional variations in travel-time residuals of teleseismic P waves in the crust and mantle beneath Northern Tien Shan. Bull. Seismol. Soc. Am., 94(2): 650-664. Niu Z J, Wang M, Sun H R, et al. 2005. Recent observations of the crustal movement velocity field in mainland China. Chinese Science Bulletin (in Chinese), 50(8): 839-840. Oreshin S, Vinnik L, Makeyeva L, et al. 2002. Combined analysis of SKS splitting and regional P traveltimes in Siberia. Geophys. J. Int., 151(2): 393-402. Poirier J P, Price G D. 1999. Primary slip system of ε-iron and anisotropy of the Earth's inner core. Physics of the Earth and Planetary Interiors, 110(3-4): 147-156. Rabbel W, Mooney W D. 1996. Seismic anisotropy of the crystalline crust: What does it tell us?. Terra Nova, 8(1): 16-21. Savage M K, Peppin W A, Vetter U R. 1990. Shear wave anisotropy and stress direction in and near Long Valley Caldera, California, 1979—1988. J. Geophys. Res., 95(B7): 11165-11177. Shi F. 2015. Tectonic geomorphology of Nantinghe fault zone. Recent Developments in Word Seismology (in Chinese), (7): 46-48. Shi Y T, Gao Y, Wu J, et al. 2009. Crustal seismic anisotropy in Yunnan, Southwestern China. Journal of Seismology, 13(2): 287-299. Shi Y T, Gao Y, Su Y J, et al. 2012. Shear-wave splitting beneath Yunnan area of Southwest China. Earthquake Science, 25(1): 25-34. Shi Y T, Gao Y, Zhang Y J, et al. 2013. Shear-wave splitting in the crust in Eastern Songpan-Garzê block, Sichuan-Yunnan block and Western Sichuan Basin. Chinese J. Geophys. (in Chinese), 56(2): 481-494, doi: 10.6038/cjg20130212. Silver P G, Chan W W. 1991. Shear wave splitting and subcontinental mantle deformation. J. Geophys. Res., 96(B10): 16429-16454. Sun C Q, Lei J S, Li C, et al. 2013. Crustal anisotropy beneath the Yunnan region and dynamic implications. Chinese J. Geophys. (in Chinese), 56(12): 4095-4105, doi: 10.6038/cjg20131214. Sun Y, Niu F L, Liu H F, et al. 2012. Crustal structure and deformation of the SE Tibetan plateau revealed by receiver function data. Earth and Planetary Science Letters, 349-350: 186-197. Tai L X, Gao Y, Liu G, et al. 2015. Crustal seismic anisotropy in the southeastern margin of Tibetan Plateau by ChinArray data: shear-wave splitting from temporary observations of the first phase. Chinese J. Geophys. (in Chinese), 58(11): 4079-4091, doi: 10.6038/cjg20151116. Vinnik L P, Farra V, Romanowwicz B. 1989a. Azimuthal anisotropy in the earth from observations of SKS at GEOSCOPE and NARS broadband stations. Bull. Seismol. Soc. Am., 79(5): 1542-1558. Vinnik L P, Kind R, Makeyeva L I, et al. 1989b. Azimuthal anisotropy in the lithosphere from observations of long-period S-waves. Geophys. J. Int., 99(3): 549-559. Vinnik L P, Makeyeva L I, Milev A, et al. 1992. Global patterns of azimuthal anisotropy and deformations in the continental mantle. Geophys. J. Int., 111(3): 433-447. Wang P, Wang Z G. 1997. Division of the Alxa Block and its attribution. Earthquake (in Chinese), 17(1): 103-112. Wang Q, Zhang P Z, Niu Z J, et al. 2002. Present-day crustal movement and tectonic deformation in China continent. Science China Earth Sciences, 45(10): 865-874. Wang Q, Zhang P Z, Ma Z J. 2002. GPS database and velocity field of contemporary tectonic deformation in continental China. Earth Science Frontiers (in Chinese), 9(2): 415-429. Wang Q, Gao Y, Shi Y T, et al. 2013. Seismic anisotropy in the uppermost mantle beneath the northeastern margin of Qinghai-Tibet plateau: evidence from shear wave splitting of SKS, PKS and SKKS. Chinese J. Geophys. (in Chinese), 56(3): 892-905, doi: 10.6038/cjg20130318. Wang Q, Gao Y, Shi Y T. 2015. Rayleigh wave azimuthal anisotropy on the southeastern front of the Tibetan Plateau from seismic ambient noise. Chinese J. Geophys. (in Chinese), 58(11): 4068-4078, doi: 10.6038/cjg20151115. Wang Q, Niu F L, Gao Y, et al. 2016. Crustal structure and deformation beneath the NE margin of the Tibetan plateau constrained by teleseismic receiver function data. Geophys. J. Int., 204(1): 167-179. Wang X S, Lü J, Xie Z J, et al. 2015. Focal mechanisms and tectonic stress field in the North-South Seismic Belt of China. Chinese J. Geophys. (in Chinese), 58(11): 4149-4162, doi: 10.6038/cjg20151122. Wu J, Gao Y, Chen Y T, et al. 2007. Seismic anisotropy in the crust in northwestern capital area of China. Chinese J. Geophys. (in Chinese), 50(1): 209-220. Wu J P, Ming Y H, Wang C Y. 2004. Source mechanism of small-to-moderate earthquakes and tectonic stress field in Yunnan province. Acta Seismologica Sinica (in Chinese), 26(5): 457-465. Xiang H F, Guo S M, Ran Y K, et al. 1986. Recent tectonic stress field in the Northwest of the Yunnan province. Seismology and Geology (in Chinese), 8(4): 15-23. Xie F R, Zhang S M, Dou S Q, et al. 1999. Evolution characteristics of tectonic stress field in the north and east margin of the Qinghai Tibet Plateau. Acta Seismologica Sinica (in Chinese), 21(5): 502-512. Xie F R, Cui X F, Zhao J T, et al. 2004. Regional division of the recent tectonic stress field in China and adjacent areas. Chinese J. Geophys. (in Chinese), 47(4): 654-662. Xu J. 1977. A preliminary study on tectonic stress field since the Sichuan movement in the southwest of China.//Discussion on Seismic Geology and Seismic Intensity Zoning in Southwest China (in Chinese). Beijing: Seismological Press. Xu Z, Xu M J, Wang L S, et al. 2006. A study on crustal anisotropy using P to S converted phase of the receiver function: Application to Ailaoshan-Red River fault zone. Chinese J. Geophys. (in Chinese), 49(2): 438-448. Yan Z D, Li H H, Yang B. 1986. An overview of assessment and research on medium-term strong seismic risk in areas in the north-south seismic belt of China. Recent Developments in World Seismology (in Chinese), (7): 8-12. Yang S X, Yao R, Cui X F, et al. 2012. Analysis of the characteristics of measured stress in Chinese mainland and its active blocks and North-South seismic belt. Chinese J. Geophys. (in Chinese), 55(12): 4207-4217, doi: 10.6038/j.issn.0001-5733.2012.12.032. Yao H J, Van Der Hilst R D, Montagner J P. 2010. Heterogeneity and anisotropy of the lithosphere of SE Tibet from surface wave array tomography. J. Geophys. Res., 115: B12307. Yuan D Y, Zhang P Z, Liu B C, et al. 2004. Geometrical imagery and tectonic transformation of late quaternary active tectonics in northeastern margin of Qinghai-Xizang plateau. Acta Geologica Sinica (in Chinese), 78(2): 270-278. Zha X H, Lei J S. 2013. Crustal thickness and Poisson's ratio beneath the Yunnan region. Science China Earth Science, 56(4): 693-702. Zhang H, Gao Y, Shi Y T, et al. 2012. Tectonic stress analysis based on the crustal seismic anisotropy in the northeastern margin of Tibetan plateau. Chinese J. Geophys. (in Chinese), 55(1): 95-104, doi: 10.6038/j.issn.0001-5733.2012.01.009. Zhang P Z, Wang Q, Ma Z J. 2002. GPS velocity field and active crustal deformation in and around the Qinghai-Tibet Plateau. Earth Science Frontiers (in Chinese), 9(2): 442-450. Zhang P Z, Deng Q D, Zhang G M, et al. 2003. Active tectonic blocks and strong earthquakes in the continent of China. Science in China Series D: Earth Sciences, 46(S2): 13-24. Zhang P Z, Deng Q D, Zhang Z Q, et al. 2013. Active faults, earthquake hazards and associated geodynamic processes in continental China. Scientia Sinica Terrae (in Chinese), 43(10): 1607-1620. Zhao L, Zheng T Y, Lu G, et al. 2011. No direct correlation of mantle flow beneath the North China Craton to the India-Eurasia collision: constraints from new SKS wave splitting measurements. Geophys. J. Int., 187(2): 1027-1037. Zhao L, Zheng T Y, Lu G. 2013. Distinct upper mantle deformation of cratons in response to subduction: Constraints from SKS wave splitting measurements in eastern China. Gondwana Research, 23(1): 39-53. Zheng S H, Gao Y. 1994. Azimuthal anisotropy of the continental lithosphere in China. Acta Seismologica Sinica (in Chinese), (2): 131-140. Zhou M D, Lü T Y, Zhang Y S, et al. 2000. The geological structure background and the crustal structure in the northeastern margin of the Qinghai-Tibetan plateau. Acta Seismologica Sinica (in Chinese), 22(6): 645-653. 常利军, 王椿镛, 丁志峰. 2006. 云南地区SKS波分裂研究. 地球物理学报, 49(1): 197-204. 崔效锋, 谢富仁, 张红艳. 2006. 川滇地区现代构造应力场分区及动力学意义. 地震学报, 28(5): 451-461. 邓起东, 张培震, 冉勇康等. 2002. 中国活动构造基本特征. 中国科学D辑: 地球科学, 32(12): 1020-1030. 杜兴信, 邵辉成. 1999. 由震源机制解反演中国大陆现代构造应力场. 地震学报, 21(4): 354-360. 高原, 石玉涛, 梁维等. 2008. 剪切波分裂分析系统SAM(2007)——软件系统. 中国地震, 24(4): 345-353. 高原, 王琼, 赵博等. 2013. 龙门山断裂带中南段的一个破裂空段——芦山地震的震后效应. 中国科学 (D辑: 地球科学), 43(6): 1038-1046. 黄忠贤, 李红谊, 胥颐. 2013. 南北地震带岩石圈S波速度结构面波层析成像. 地球物理学报, 56(4): 1121-1131, doi: 10.6038/cjg20130408. 阚荣举, 张四昌, 晏凤桐等. 1977. 我国西南地区现代构造应力场与现代构造活动特征的探讨. 地球物理学报, 20(2): 96-109. 刘启民, 赵俊猛, 卢芳等. 2014. 用接收函数方法反演青藏高原东北缘地壳结构. 中国科学: 地球科学, 44(4): 668-679. 鲁来玉, 何正勤, 丁志峰等. 2014. 基于背景噪声研究云南地区面波速度非均匀性和方位各向异性. 地球物理学报, 57(3): 822-836, doi: 10.6038/cjg20140312. 马杏垣. 1989. 中国岩石圈动力学地图集. 北京: 中国地图出版社, 32-33. 牛之俊, 王敏, 孙汉荣等. 2005. 中国大陆现今地壳运动速度场的最新观测结果. 科学通报, 50(8): 839-840. 石峰. 2015. 南汀河断裂带构造地貌研究. 国际地震动态, (7): 46-48. 石玉涛, 高原, 张永久等. 2013. 松潘—甘孜地块东部、川滇地块北部与四川盆地西部的地壳剪切波分裂. 地球物理学报, 56(2): 481-494, doi: 10.6038/cjg20130212. 孙长青, 雷建设, 李聪等. 2013. 云南地区地壳各向异性及其动力学意义. 地球物理学报, 56(12): 4095-4105, doi: 10.6038/cjg20131214. 太龄雪, 高原, 刘庚等. 2015. 利用中国地震科学台阵研究青藏高原东南缘地壳各向异性: 第一期观测资料的剪切波分裂特征. 地球物理学报, 58(11): 4079-4091, doi: 10.6038/cjg20151116. 王萍, 王增光. 1997. 阿拉善活动块体的划分及归宿. 地震, 17(1): 103-112. 王琪, 张培震, 牛之俊等. 2001. 中国大陆现今地壳运动和构造变形. 中国科学D辑: 地球科学, 31(7): 529-536. 王琪, 张培震, 马宗晋. 2002. 中国大陆现今构造变形GPS观测数据与速度场. 地学前缘, 9(2): 415-429. 王琼, 高原, 石玉涛. 2015. 青藏高原东南缘基于背景噪声的Rayleigh面波方位各向异性研究. 地球物理学报, 58(11): 4068-4078, doi: 10.6038/cjg20151115. 王晓山, 吕坚, 谢祖军等. 2015. 南北地震带震源机制解与构造应力场特征. 地球物理学报, 58(11): 4149-4162, doi: 10.6038/cjg20151122. 吴晶, 高原, 陈运泰等. 2007. 首都圈西北部地区地壳介质地震各向异性特征初步研究. 地球物理学报, 50(1): 209-220. 吴建平, 明跃红, 王椿镛. 2004. 云南地区中小地震震源机制及构造应力场研究. 地震学报, 26(5): 457-465. 谢富仁, 张世民, 窦素芹等. 1999. 青藏高原北、东边缘第四纪构造应力场演化特征. 地震学报, 21(5): 502-512. 谢富仁, 崔效锋, 赵建涛等. 2004. 中国大陆及邻区现代构造应力场分区. 地球物理学报, 47(4): 654-662. 徐杰. 1977. 西南地区四川运动以来构造应力场的初步研究.//西南地区地震地质及烈度区划探讨. 北京: 地震出版社. 徐震, 徐鸣洁, 王良书等. 2006. 用接收函数Ps转换波研究地壳各向异性——以哀牢山—红河断裂带为例. 地球物理学报, 49(2): 438-448. 阎志德, 李海华, 杨斌. 1986. 中国南北地震带近期强震危险区判定研究综述. 国际地震动态, (7): 8-12. 杨树新, 姚瑞, 崔效锋等. 2012. 中国大陆与各活动地块、南北地震带实测应力特征分析. 地球物理学报, 55(12): 4207-4217, doi: 10.6038/j.issn.0001-5733.2012.12.032. 袁道阳, 张培震, 刘百篪等. 2004. 青藏高原东北缘晚第四纪活动构造的几何图像与构造转换. 地质学报, 78(2): 270-278. 查小惠, 雷建设. 2013. 云南地区地壳厚度和泊松比研究. 中国科学: 地球科学, 43(3): 446-456. 张培震, 王琪, 马宗晋. 2002. 青藏高原现今构造变形特征与GPS速度场. 地学前缘, 9(2): 442-450. 张培震, 邓起东, 张国民等. 2003. 中国大陆的强震活动与活动地块. 中国科学D辑, 33(增刊): 12-20. 张培震, 邓起东, 张竹琪等. 2013. 中国大陆的活动断裂、地震灾害及其动力过程. 中国科学: 地球科学, 43(10): 1607-1620. 郑斯华, 高原. 1994. 中国大陆岩石层的方位各向异性. 地震学报, (2): 131-140. 周民都, 吕太乙, 张元生等. 2000. 青藏高原东北缘地质构造背景及地壳结构研究. 地震学报, 22(6): 645-653. 文丽敏, 康国发, 白春华, 高国明, 郑安燃, 安柏林. 云南地区地壳磁异常与地质构造[J]. 地球物理学报, 2017, 60(9): 3493-3504. 鲁人齐, 徐锡伟, 何登发, 刘波, 谭锡斌, 张学丰, 李英强, 王振南. 龙门山南段芦山震区浅层沉积与构造变形——对深部发震构造的约束[J]. 地球物理学报, 2017, 60(8): 2924-2934. 程成, 白玲, 丁林, 李国辉, 杨建亚, 许强. 利用接收函数方法研究喜马拉雅东构造结地区地壳结构[J]. 地球物理学报, 2017, 60(8): 2969-2979. 杨文采, 孙艳云, 侯遵泽, 于常青. 用于塔里木地壳构造成像的重力场谱矩方法研究[J]. 地球物理学报, 2017, 60(8): 3140-3150. 庞玉茂, 张训华, 郭兴伟, 肖国林, 朱晓青. 南黄海北部盆地中、新生代构造热演化史模拟研究[J]. 地球物理学报, 2017, 60(8): 3177-3190. 董莉, 李帝铨, 江沸菠. 改进混合蛙跳算法的CSAMT信号激电信息提取研究[J]. 地球物理学报, 2017, 60(8): 3264-3277. 赵金仁, 刘保金, 段永红, 潘素珍, 范振宇, 马策军, 邓晓果, 海燕, 王帅军, 李怡青. 利用爆破地震揭示华北克拉通基底的高分辨速度结构——大丰—包头折射剖面的探测结果[J]. 地球物理学报, 2017, 60(7): 2628-2640. 徐恒垒, 靳平, 朱号锋, 李欣. 2013、2016年两次朝鲜核试验P波和面波信号幅值比差异的观测与分析[J]. 地球物理学报, 2017, 60(7): 2652-2662. 赵利, 徐旭辉, 方成名, 陆建林, 廖宗廷. 中西部冲断带多尺度地球物理解释及其物理模拟实验[J]. 地球物理学报, 2017, 60(7): 2885-2896. 王兴臣, 丁志峰, 武岩, 朱露培. 中国南北地震带北段及其周缘地壳厚度与泊松比研究[J]. 地球物理学报, 2017, 60(6): 2080-2090. 胡亚平, 王志, 刘冠男, 柳存喜, 伏毅. 南北地震带地壳结构多参数成像及强震触发机制研究[J]. 地球物理学报, 2017, 60(6): 2113-2129.